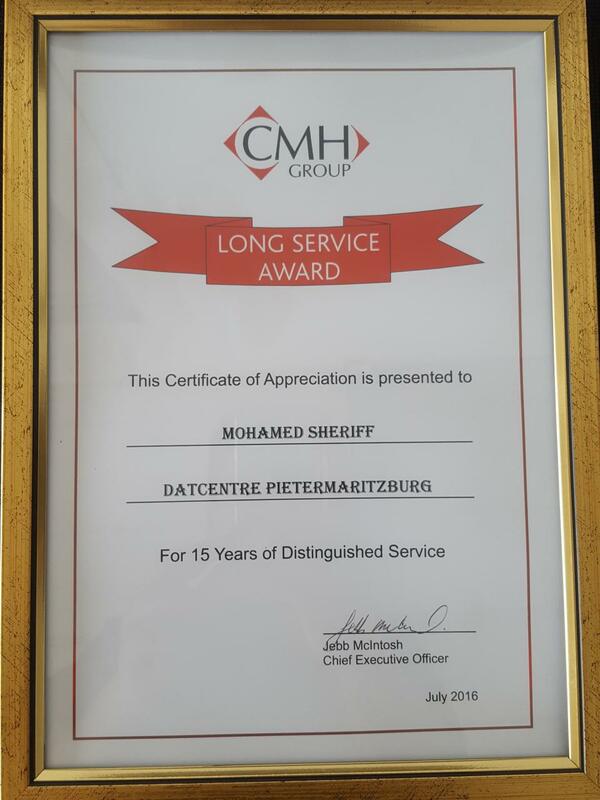 CMH Nissan Pietermaritzburg would like to take this opportunity to thank Mr Mohamed Shiraz Sheriff for these past 15 years of fine workmanship and company loyalty. Our success is directly attributable to employees like you who have stayed with us through the years, learned our customers’ needs, and then “pulled out all the stops” to see they got what they wanted. Specifically, your invaluable help in transporting customers safely. 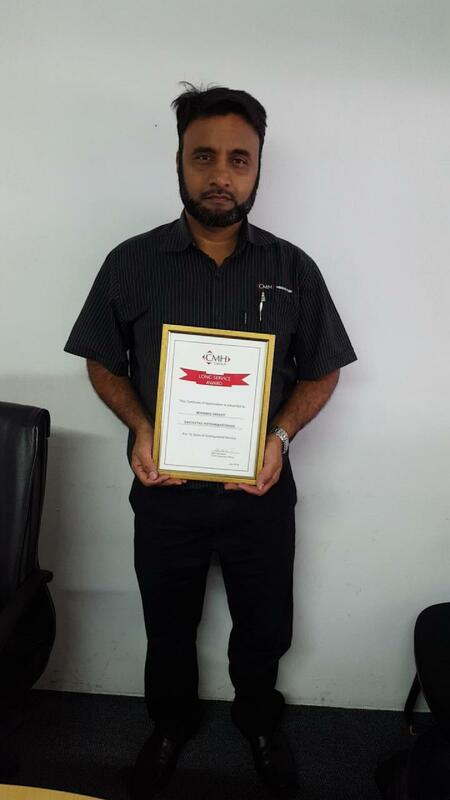 We also have appreciated your willingness to offer your time to improve the way we do business. 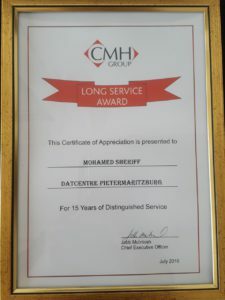 CMH Nissan Pietermaritzburg appreciates the selfless service you’ve given for so many years. Without the loyalty and hard work of experts like you who helped us get things started, we could never have achieved our present stature. 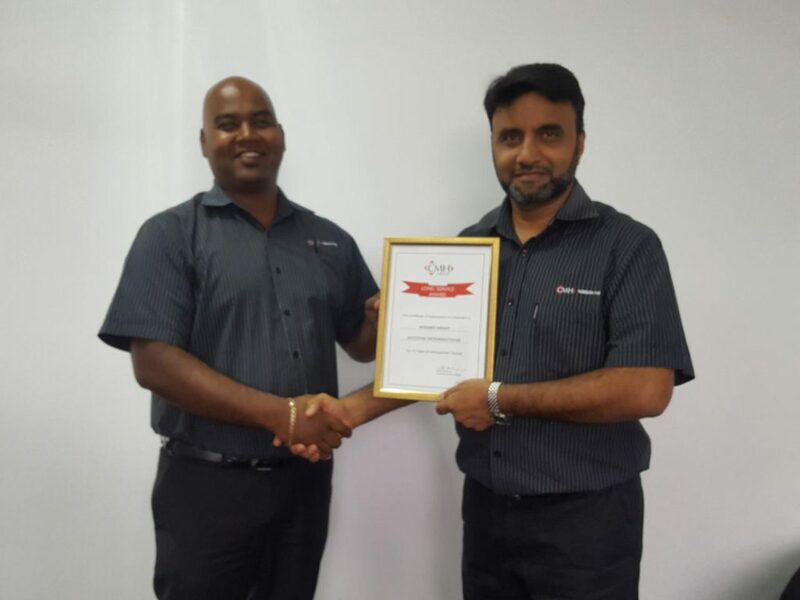 We know that the growth and success of our company is largely dependent on having strong and capable staff members like you.We also recognise the contributions you make in helping us maintain the position we enjoy in the industry. We are hoping that you will remain with us for many years to come and would like to offer our congratulations on this special anniversary. We’re looking forward to more time to express our deepest appreciation for your contribution to the company, as well as your gift of friendship to those of us who work closely with you. Best wishes in the years ahead as you lead the way to more markets and better customer service. Keep up the good work and we wish you success in the years to come.